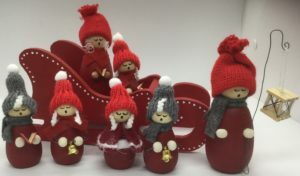 Home / STORE / Nisse / Nisse Caroler Lady. so she may carry on bringing merriment to the neighbourhood. Made from wood, with wooden bead hands, she wears a red woolen hat and scarf. 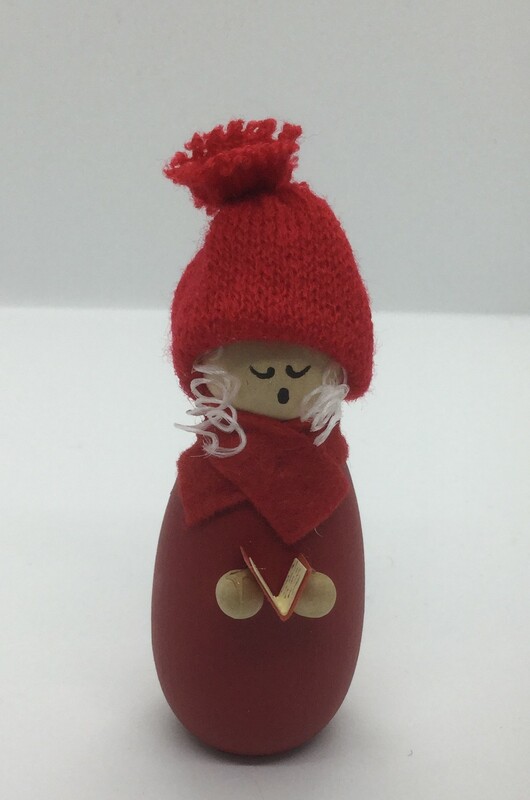 She has white hair escaping from her hat while in her hands she holds a carol songbook.